"It would have been impossible for us to do this negotiation directly"
“In late 2013, an important NY apparel client of ours was closing a sale of one of its brand divisions to another company, when we learned that the division’s primary trademark had been registered in China by a Chinese individual. As part of the sale agreement, our client was obligated to use reasonable efforts to obtain an assignment of the Chinese trademark, which was critical so that the purchaser obtained trademark rights in China where products would be manufactured and where it would start selling. Current Chinese law did not provide any meaningful legal recourse (and if it did, it would have taken 2 to 3 years and significant expense), so our only option was to try to negotiate a reasonable purchase of the trademark rights. Because of the language and deep cultural differences, we retained the GoldenGate firm in Beijing, which proved very effective in working with us as a team. After lengthy rounds of direct negotiations with the registrant and his agent, GoldenGate ultimately was able to get him to agree to sell the trademark registration and rights on reasonable terms that our client could accept, which has now resulted in a formal assignment agreement that is about to be executed. The Advocate, a publication of the British Columbia Bar Association. Over time, the two firms have formed a valuable relationship through TAGLaw, and they believe initiatives such as this will provide further opportunities for them to collaborate on advising and litigating cross-border disputes. "Our firm operates a title insurance company and often acts as an escrow agent in real estate transactions. Recently, the partners at Herrick, Feinstein LLP (New York, New York, USA) were able to provide us with valuable insights in the establishment of a complex multimillion dollar international escrow agreement. Because of TAGLaw, we were able to reach out to our vast contacts within the network and it was very valuable." 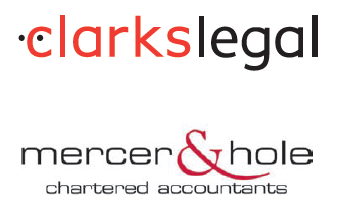 "Mercer & Hole (London, England - TIAG) are delighted to have been able to assist a financially distressed charity client of Clarkslegal (Reading, England). The charity employed almost 400 staff to care for over 300 vulnerable people in over 40 residential settings on behalf of various local government authorities. Michael Sippitt of Clarkslegal and Chris Laughton, who leads our London Restructuring and Insolvency team, worked together on a strategy using direct communication and PR to have the local authorities recognize their risks and obligations. An accelerated M&A process led to a successful sale within three weeks with absolutely no disruption to the vulnerable people and their carers, and avoided a painful, disruptive and costly collapse." “Every year, the Benefits our Firm Receives...Seem to Grow..."
"...Clients are Appreciative of the Resources that we can Offer Through...TAGLaw." "...Extremely Timely and Effective Advice..."